What if your biggest fear came true? Cailyn Roberts was a single mother raising her 11 year old daughter on her own. She remembered what it was like to be a young girl and wanted more than anything to protect her child, Lacy, from the pain she endured growing up. When Cailyn was 15 she was raped. One fateful afternoon a knock came to her door. Cailyn was home on her day off and answered it. Before she even had time to react, the attacker grabbed her and knocked her ... See More across the room. He was ruthless in his assault and Cailyn was about to relive the horror she had experienced as a child. Yet she was thankful that her Lacy was safely at school. Then the most horrible sound in the world entered her ears: The key in the front door. Lacy was home! Cailyn Roberts opened her eyes after being struck in the head by a nine millimeter pistol. She awoke to learn that her daughter was dead and that she had been in a coma for almost 3 months. What she was to learn was that she did not awaken from the coma alone. Someone or something had come back with her. 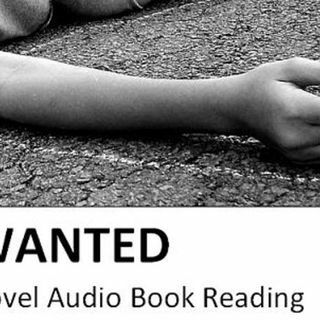 WANTED is a story about loss, sorrow, revenge, and a love that binds across the depths of death. Join Cailyn in her struggle to regain her life as she journeys into the pits of hell.